A happy young scholarship winner celebrating the efforts of her hard work. July 23, 2014 /3BL Media/ - Bath Fitter, North America’s leading acrylic bathtub, shower enclosure and tub-to-shower conversion companies, has partnered with CBS EcoMedia for the second year to provide 25 scholarships to sons and daughters of active, retired or deceased service members. The scholarships were awarded through Fisher House Foundation’s Scholarships for Military Children Program and its Heroes’ Legacy Scholarship Program. Bath Fitter’s support through CBS EcoMedia’s EducationAd program will provide each of the students with critical funding toward college tuition, books, lab fees and other related college expenses, easing the financial burden on military families. The applicant pool was highly competitive and of the 25 Fisher House Scholarships funded by Bath Fitter, 12 have been awarded to high school students and 13 have been awarded to college students. 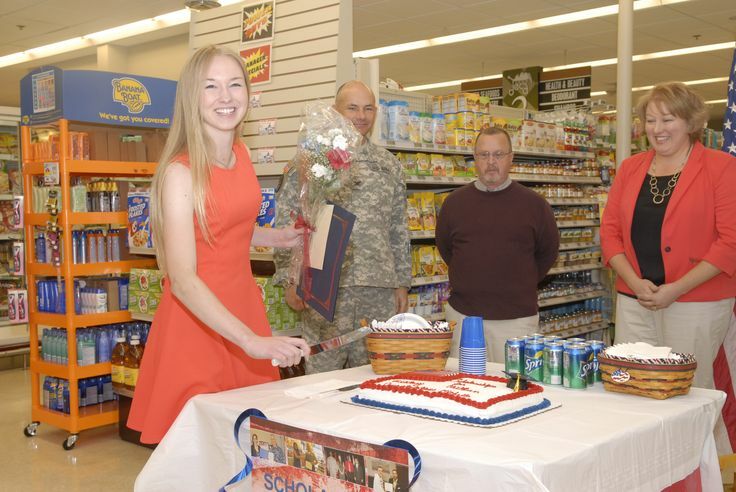 The Scholarships for Military Children Program, now in its 14th year, was created in recognition of the contributions of military families to the readiness of the fighting force and to celebrate the role of the commissary in the military family community. The Heroes Legacy Scholarship Program honors not only those who have fallen in battle, but all who have died or have become disabled through their active military service since Sept. 11, 2001. The program is open to their dependent unmarried children under age 23. Each year, the Fisher House scholarship program proudly provides more than $1 million to military children. Bath Fitter has a long history of being socially engaged in its community. Through charitable contributions, employee activities or community service, Bath Fitter is dedicated to affecting positive social change in the communities it serves. Over the past 30 years, the Bath Fitter brand has become synonymous with beautiful, affordable bathroom remodeling. Recently, Qualified Remodeler Magazine awarded Bath Fitter as the #1 Bathroom Remodeler in the country. This is the twelfth year in a row that we have been awarded this title! Nationwide, Bath Fitter is ranked #8 in the overall Top 500 List of remodeling companies. At Bath Fitter, we offer an easy solution to bathroom remodeling and renovations. The one-day installation of the Bath Fitter system along with our unique one-piece seamless wall will allow you to feel comfortable and satisfied with your decision. Bath Fitter also offers tub to shower conversions as well as the replacement of fiberglass units. Our one-piece seamless wall removes the hassle of cleaning and the dread of visitors seeing your bathroom! Installing a new bathtub and wall system over the top of the old one eliminates the need to rip out old fixtures, tiles, and tubs. This lightens the load for already overburdened landfills making Bath Fitter a wonderful “green” option for your home. Furthering our efforts to be green, we use non-toxic acrylic materials that last a lifetime, which means no need to replace them (although our product is backed by a lifetime warranty for as long as your own your home, should you need it) and less waste in landfills. Our shipping materials are over 75% free from the costly use of cardboard, pallets and shrink-wrap; and at the plants, water and scrap plastic material that is used in the manufacturing process is recycled. We are proud to offer a high quality product and service to the community that serves as an alternative to the wasteful and costly, traditional bathroom remodel that benefits the earth and most importantly our customer. We would be more than happy at any time to answer your questions or talk about a bathroom project you would like to plan at 1-800-594-8776! Fisher House Foundation is best known for the network of over 60 comfort homes built on the grounds of major military and VA medical centers. The Fisher Houses are 5,000 to 16,800 square-foot homes, donated to the military and Department of Veterans Affairs, where families can stay while a loved one is receiving treatment. Additionally, the Foundation ensures that families of service men and women wounded in Iraq or Afghanistan are not burdened with unnecessary expense during a time of crisis. Located in close proximity to the medical center or hospital it serves, each Fisher House consists of between 8 and 21 suites, with private bedrooms and baths. Families share a common kitchen, laundry facilities, spacious dining room and an inviting living room with a library and toys for children. Fisher House Foundation ensures that there is no fee to stay in a Fisher House. Since inception, the program has saved military and veterans families an estimated $235 million in out of pocket costs for lodging and transportation. Fisher House Foundation operates the Hero Miles Program, using donated frequent flyer miles to bring family members to the bedside of injured service members as well as the Hotels for Heroes program using donated hotel points to allow family members to stay at hotels near medical centers without charge. The Foundation also manages a grant program that supports other military charities and scholarship funds for military children, spouses and children of fallen and disabled veterans. At EcoMedia, we’re propelled by the desire to create positive social change; that’s been our mission since we founded the company in 2002. In 2010, after successfully partnering with CBS on a wide range of environmental projects, EcoMedia became the newest addition to the CBS Corporation portfolio, exponentially scaling our reach across television, radio, interactive, publishing and outdoor media. Through our patent-pending EcoAd, WellnessAd and EducationAd programs, an innovative twist on traditional advertising, advertisers are able to support much-needed local projects which in turn creates jobs, saves taxpayer money and improves the quality of life in communities nationwide. In the process, we’re fundamentally altering the advertising landscape, elevating the ordinary, traditional commercial – and media, in general – into a catalyst for tangible, quantifiable social change. Please visit ecomediacbs.com, like us at facebook.com/EcoMediaCBS or follow us at Twitter.com/EcoMediaCBS. By participating in EcoMedia’s EcoAd, WellnessAd and EducationAd advertising programs, EcoMedia’s advertisers agree to provide funding for projects we believe will have a beneficial effect upon the environment, health and/or education within local communities. EcoMedia’s advertising programs are not certification programs nor are the EcoAd, WellnessAd or EducationAd logos seals of approval. EcoMedia does not in any way certify, endorse or make any representations about EcoMedia program advertisers, their products or services.